Will U.S. companies spend tax reform savings on buybacks, capital investments, or job creation? Will bitcoin surge forward, stay flat, or collapse? Will a geopolitical event like growing tensions with North Korea reshape world politics in 2018? These are great questions for pundits and prognosticators – and ones we don’t know the answer to yet. Move to online invoicing and payments. You’ll unleash a world of cost savings and business that will continue to pay rich dividends in 2018. Grab 7 Steps to a More Profitable Business in the U.S. to learn how. This infographic gives you a quick visual primer on the state of electronic invoicing and payments and why it is time for U.S. companies to adopt this innovation that’s swept the global market from Europe to South America. Yes, just 38% of U.S. companies plan to adopt e-invoicing by 2024, lagging way behind Europe. With e-invoicing, you know your cash position, customers’ credit risk, and invoice status at all time. You get the tools to create and chart your financial destiny. Where will you be at the end of 2018 if you gain control over your AR processes by implementing an online invoicing and payments portal? As you set strategy for 2018, use this 1 easy-money prediction to hit all your targets. 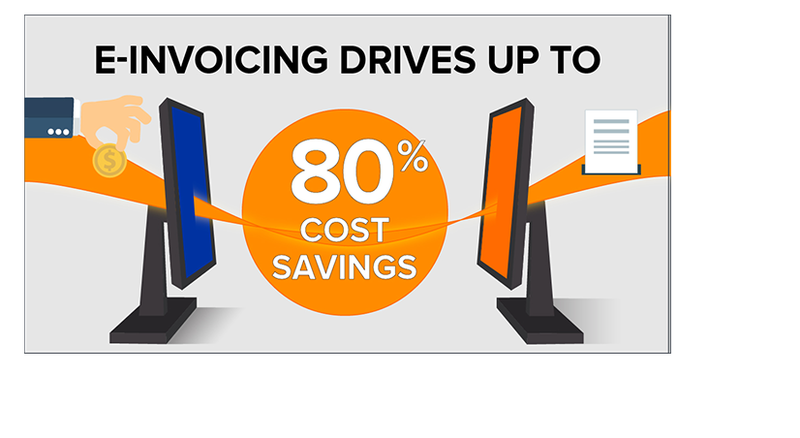 Adopt e-invoicing — and gain control over your accounts receivable processes.